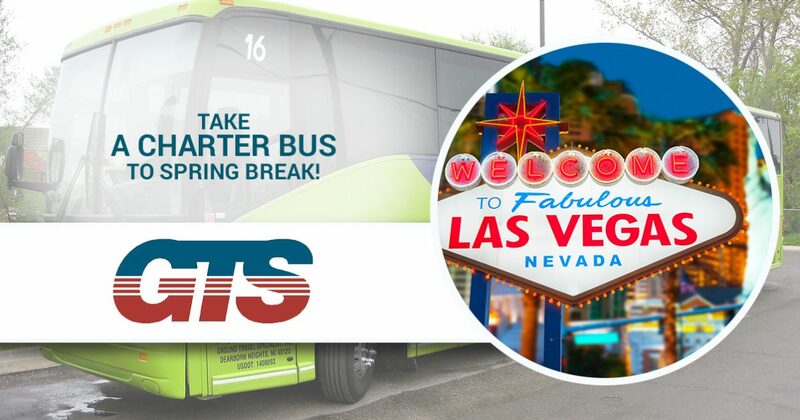 Take a Charter Bus to Spring Break! Even though the fall semester is just about to begin, it’s never too early to start planning for your spring break! If you and a group of your friends, a school club, or your sorority or fraternity are thinking about taking a trip to somewhere fun over spring break, GTS can help! We have the nicest fleet of charter buses in the Detroit area! No matter what size your group is, we can get you to your destination quickly and safely. Contact us today to set up your spring break charter bus or read on to find out about some exciting spring break destinations! Some of the most common spring break spots are on the ocean. All the way up and down the east coast from New Jersey to Florida, along the Gulf coast, and in southern California, there are plenty of resort towns that host huge gatherings of college students for the annual pilgrimage to mid-semester fun! Some of the largest and most popular locations include Daytona Beach, Miami, Los Angeles, South Padre Island, and Panama City Beach. While Las Vegas is a long way from the beach, it offers you tons of ways to have fun. Huge clubs, pools everywhere, gambling, bars that are open 24 hours a day, and plentiful accommodations are just a few of the benefits of staying inland this spring break. An almost limitless number of all-you-can-eat buffets as well as almost every kind of entertainment imaginable makes Vegas an attractive destination any time of the year! There are plenty of ski resorts in the Rocky Mountains where the snow is still coming down hard in March, so if you don’t feel like cramming yourself into a swimsuit just to compete with thousands of other people for space on a beach, go snowboarding or skiing instead! Many mountains will host special events during spring break so you can have all of the best parts of a week off while still enjoying the cool air and your favorite winter sports! Many college students are spending their mid-semester breaks trying to give back to other people. Alternative spring breaks, also called service spring breaks, are a great way for you to help others instead of spending a lot of money to drink too much and get sunburned. There are tons of places where your group can lend a helping hand. There’s almost no limit to what you can do on your spring break and GTS wants to help you do it! Contact us today to find out about rates on any of our clean and safe charter buses. We have long been the Detroit area’s top choice for reliable group transportation because we take the time to ensure our vehicles are safe. We hire drivers who have the cleanest records and the most experience because we value your safety above everything else. Call us today to book a charter vehicle for your next group outing!